When you talk about NFL owners, there really is not much difference between most of them. Extraordinarily wealthy, not often in the spotlight, always rocking a suit. Even with the fact they all have their own differences, for the most part they all seem to be the same guy. 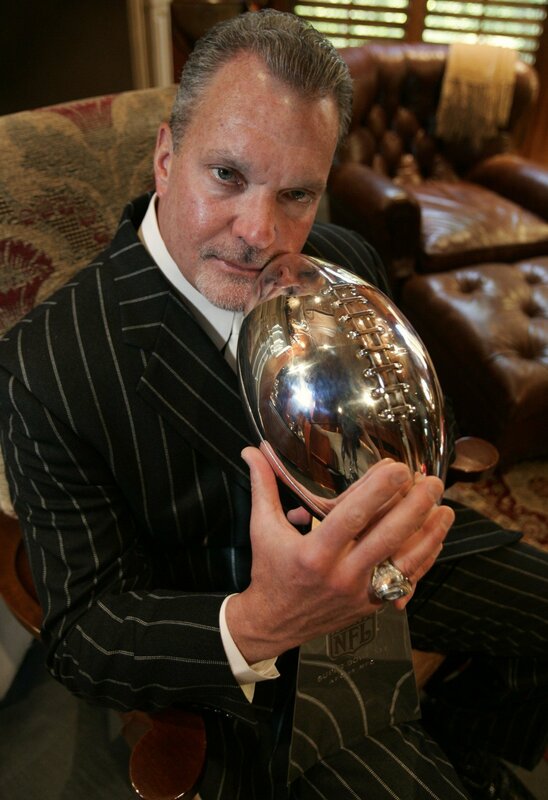 With the exception of the man pictured above, Colts owner Jim Irsay, who is slowly but surely becoming my favorite owner of any National Football League club. I first really got a glimpse of who Irsay was in a tremendous Sports Illustrated profile from a couple years back. You really get the glimpse of a guy who is completely off the norm of his NFL ownership brethen, and somebody who could not be further away from his father, Bob Irsay, who was known for being a very irascible guy and certainly somebody you could say was a jerk. I don't think you would finally many NFL owners who frequently quote Bob Dylan among other music legends, was once able to squat 750 pounds and being known as a football guy, which most owners certainly are not, and a shrewd businessman who freely spent to build a dynastic club in a small-market town centered on one of the best quarterbacks ever. Tannehill is a hidden gem in this draft,a quiet secret who was always sneaking up to #3..you want him,you better talk to Zigi The Biggie! Whoever stole 5 of Tom Petty's guitars,give em back b4 his roadies hunt you down like the fowl swine you have become! Oh mercy,mercy,mercy me...things ain't what they used to be...you know we got to find a way,to bring some loving here today! Happy Sunday morning 2all..a day at the end of the week 2 wonder and rejoice.."It is by self-forgetting,one finds"
Humility,the healer of all pain...HUMILITY- Not thinking less of yourself BUT thinking ABOUT yourself less.. I mean, how could you not love that? And like I said, I'd said probably 31 out of 32 would not tweet like that, but that's part of the charm. I find him intriguing as well. Based on the collection, his tweets are at times witty and funny. He is a very coolcat vocal owner.